For your next student group traveling to Los Angeles, here are our top five pro travel tips that will help you maximize your students time in the mesmerizing city. When organizing a student group trip to an unfamiliar city, sometimes it can be overwhelming to gauge all that the city has to offer. Los Angeles has a number of incredible sights, informative tours and notable attractions that can be difficult to see in just one visit. Luckily, our expert travel advice will help you hone in on the best of the best activities and entertainment options, and will be sure to assuage all your students’ interests. Here are our top five travel tips for students visiting Los Angeles that will guide planners in the right direction towards a fun and unique trip to the awe-inspiring city. 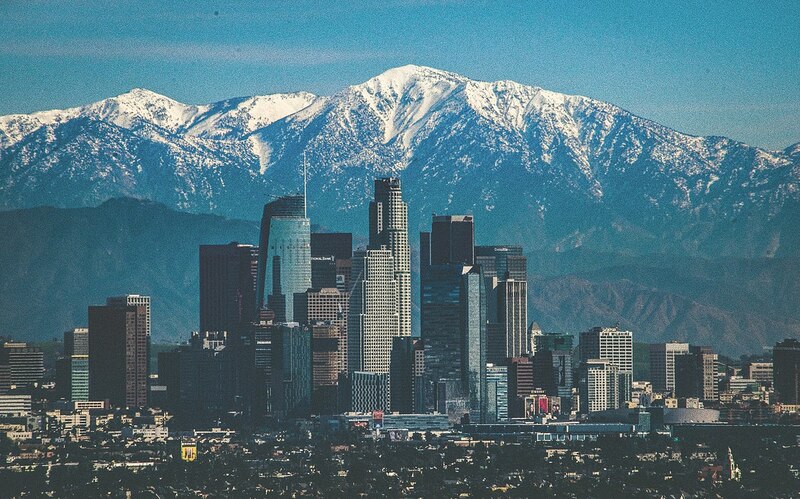 LA is often known for its busy airports, bumper-to-bumper traffic and hectic highways. However, if you familiarize yourself with the area beforehand and plan accordingly, you will be able to conquer the crazy city in no time. Los Angeles International Airport (LAX) is conveniently just half an hour from the city itself, making flying into the city easy and stress-free. It is important to remember that you have options when flying into the city, since LAX is indeed one of the busiest airports in the country. You may want to consider flying into Burbank (BUR) or Orange County’s John Wayne Airport (SNA). Once you get there, having a clear idea of where you want to take your student group will also help you navigate this vast metropolitan area. Renting a local tour bus and driver may help eliminate wasted time when traveling around the city, and will ensure your students’ comfort and safety. 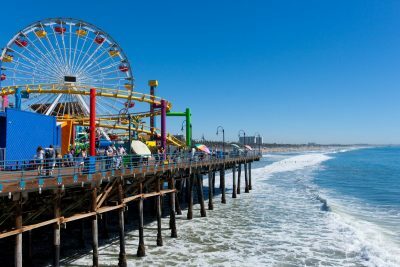 An easily overlooked free attraction that LA provides visitors with is its warm sand beaches and delightful waterfront attractions. 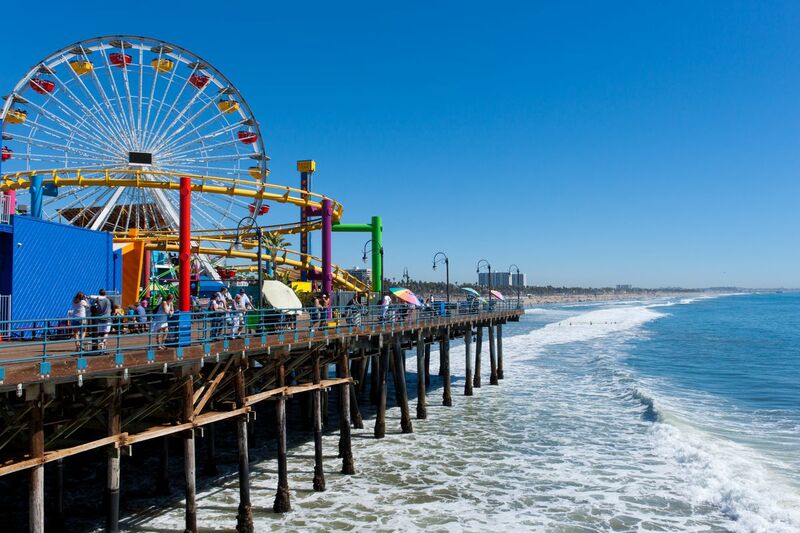 Just a few beaches in Los Angeles include Santa Monica State Beach, Venice Beach and Zuma Beach, which all provide visitors with a plethora of seaside adventures to embark on. Join a beach volleyball game or just watch from the sidelines, lay out in the summery sand and watch the sunset, go for a swim in the cool waters or even learn how to surf from a local surf instructor. Whether you prefer relaxing and tanning coastside or getting up and taking on the most daring of waves, LA’s beaches will not disappoint. When you hear “LA”, there are two major, larger-than-life areas that students have probably dreamt about seeing or have only seen in movies: Hollywood and Beverly Hills. As soon as the plane touches down in LA, why not go visit these two attractions right off the bat? There are several free and affordable entertainment options that will be sure to spark your students’ interest even in just the first few hours of visiting the city. Stop by the famous Hollywood sign or stroll down Hollywood’s Walk of Fame to relish in the 2,600 five-pointed brass stars honoring Hollywood’s most prominent luminaries. Even if you forego purchasing anything in Beverly Hills, wandering down Rodeo Drive is a once-in-a-lifetime opportunity that will make students feel as though they were movie stars themselves. Give your students the chance to revel in the wonders of LA by visiting Hollywood and Beverly Hills. 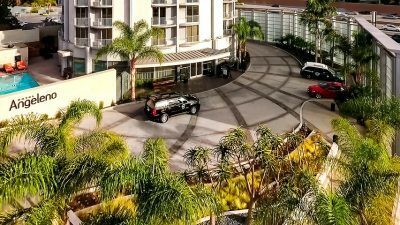 LA is an expansive city that stretches across five counties, and presents a plethora of options for comfortable and affordable lodging accommodations. When choosing a hotel to house your students, a helpful resource to use is the Los Angeles hotel guide, which will break down information about the best bed and breakfasts, luxurious hotels and deluxe hostels all within your budget. As a student group travel planner, you may want to consider staying in hotels that are closest to the attractions and sights that you have planned for your students. Staying in beach cities, making reservations in downtown LA or staying closer to museums may all be beneficial ways to minimize the stress of traveling from your hotel to places of interest. Student-athletes in your group have arrived at a sports city of America that truy captures some of the nation’s best athletes from all sports. Take a tour of the dazzling Staples Center and put yourself in the shoes of some of the Laker’s best basketball players, from Magic Johnson to Kobe Bryant. Baseball fanatics will surely enjoy a trip to Dodger Stadium and maybe even have the chance to throw out a first pitch in a thrilling home game. 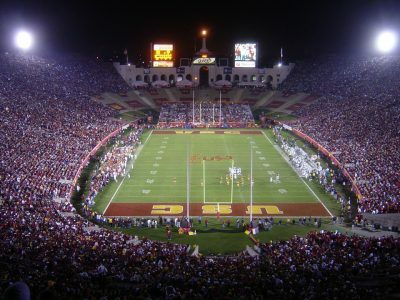 Perhaps students are curious about the colleges surrounding LA and wish to tour USC’s LA Memorial Coliseum, home of USC Trojans football and host of three summer Olympics. Finally, continue college-hopping and stop by the Rose Bowl Stadium to witness where some of college football’s most exciting championship games have been played.